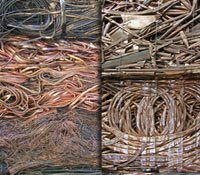 Central California's Scrap Metals and Recycling Leader, Since 1920! 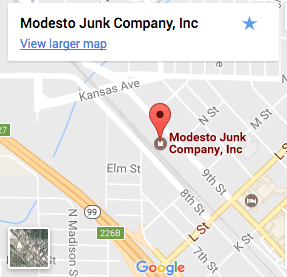 Modesto Junk Company has maintained a tradition of leadership in the scrap metals and recycling industry for more than 90 years. Our COMMITMENT is to provide the best possible service and prices to our customers. See customers who recycle with us. We believe in honest business and strongly enforce metal theft laws! We encourage our customers and community to remain vigilant in combating such crimes. Learn more about our efforts to combat metal theft. 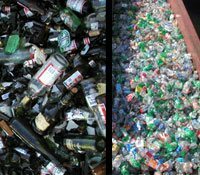 Read our FAQ and download our flyer with a handy list of items that are, and are not, included as Calif. Refund Value recyclable beverage containers. 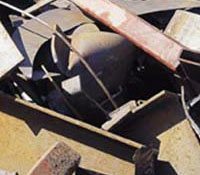 We offer our commercial and industrial customers FREE use of our containers for scrap metal and can provide FREE pick-up service. 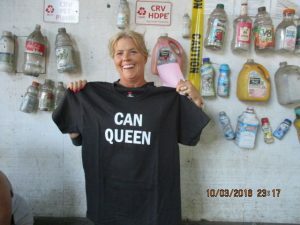 Scrap Metal & Recycle Center: Recycling Scrap Iron, Tin, Appliances, Stainless Steel, Aluminum, Cans, Copper, Covered Wire, Brass, Radiators, Batteries, Cardboard, Electronics, Computers & Laptops, Televisions & Monitors, Glass, Plastics & more! We are Modesto’s #1 Recycling Center! 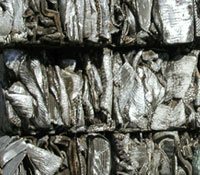 RECYCLE – recycling scrap metals, iron, tin, appliances, stainless steel, aluminum, copper, insulated and coated wire, brass, radiators, lead-acid batteries, cardboard, other metals, computer towers, monitors, TVs, e-waste, plastics and more! 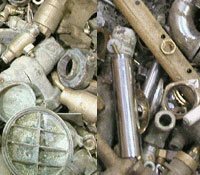 RECICLAR – reciclaje chatarra, fierro metál, estaño, lámina, electrodomésticos, acero inoxidable, aluminio, cobre, cobre con insulación, latón y bronce, radiadores, baterías de carros, cartón, otros metales, torres de computadores, monitores, TVs, los desechos electrónicos, plásticos, botes de aluminio, vidrio y mucho más! 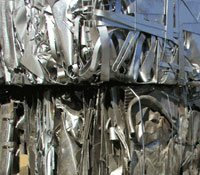 Our Scrap Metals & Recycle Center is open! – we prepare for sale to domestic/international mills and consumers.